I spent last weekend up north watching boats cruise by – some were towing skiers and tubes behind them others just out to visit friends at another dock. Fisherman weren’t to be seen on our section of the lake as it was far to warm in the bay – nothing but rock bass to tease with worms below us in the cribs of the dock. How many hours do you have on your motor this season? Have a listen the next time you try to start your engine on a really cold morning? Could it be better by replacing your lower gear oil with a synthetic? 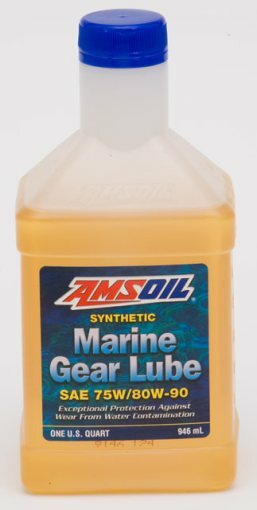 You can count on the AMSOIL marine products used in your boat with proper maintenance to keep it running strong on the water and away from the marina repair shop during the season. Read on for AMSOIL product applications and suggestions. AMSOIL Quickshot® is a premium fuel additive formulated to thoroughly clean and restore peak performance in small engine and powersports equipment fuel systems. It also stabilizes fuel between uses and during short-term storage periods. Its revolutionary technology focuses on three major fuel-related issues plaguing small engines and powersports equipment: ethanol, water and dirty pump gas. AMSOIL Gasoline Stabilizer reduces the oxidation occurs when fuel is stored for extended periods, improving performance, extending equipment life and decreasing maintenance expenses. It is difficult to drain all of the fuel from equipment before storage, and doing so would expose the system to other problems, including the formation of rust and corrosion on the bare metal in the tank and fuel system and the drying and cracking of gaskets and seals. If you trailer your boat often and for long periods which can heat things up check your wheel bearings and spend some time repacking them as required. Synthetic Water Resistant Lithium Complex Grease is multi-Purpose NLGI #2 GC-LB Extreme Pressure Fortified. Superior lubrication and protection in automotive and industrial applications with extensive exposure to water. Next Next post: How Can I Purchase AMSOIL Products?